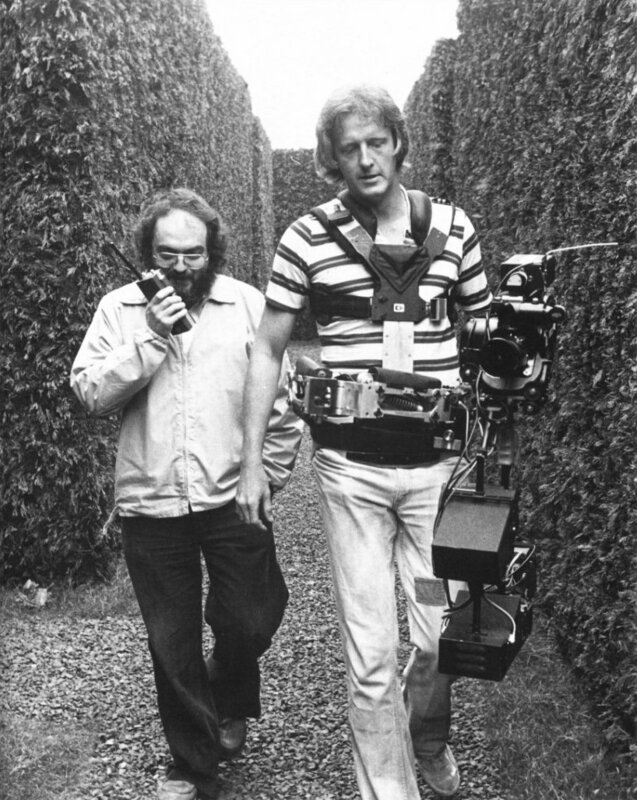 By David Konow on Aug. 16, 2013 at 11 a.m.
How the creator of the Steadicam learned the ropes of his own invention while on the set of Stanley Kubrick's The Shining. Once Stanley Kubrick became aware of Garrett Brown’s Steadicam invention in 1974, he couldn’t wait to get his hands on one and play with it. 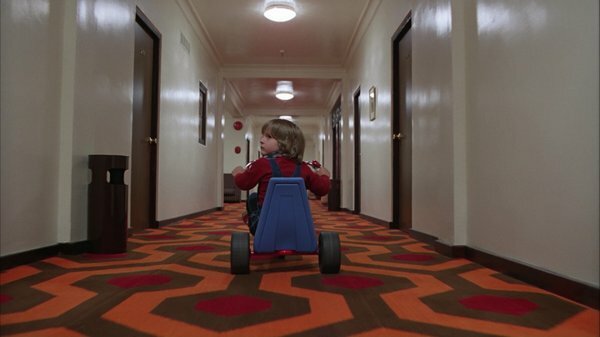 While the opening sequence of Halloween was the first horror film to utilize the Steadicam, The Shining took it even further, smoothly gliding the viewer through the halls and the treacherous hedge maze of the Overlook Hotel. 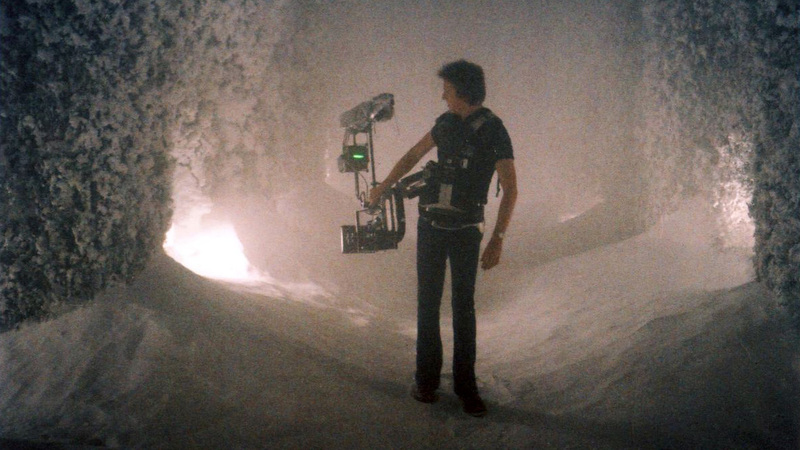 The Steadicam was also a great device to take the audience through the endless hallways and hedge maze of the Overlook Hotel. Geography is important in horror. 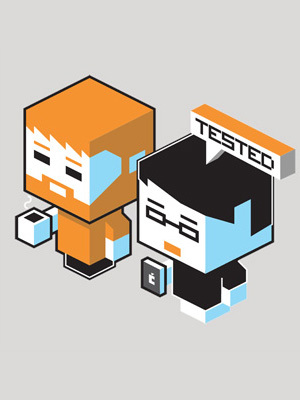 You want the audience to know where the closet is so they can yell at the screen not to go in there. Yet as Brown explains, “Your sense of the geography in The Shining was so much larger in scale than in most horror films. In most horror films, you’re learning the ins and outs of claustrophobic spaces. With The Shining, it felt much bigger. When Brown showed Kubrick that the Steadicam could shoot at a lens height from eighteen inches to waist-high, Kubrick was thrilled because much of the film revolved around a kid’s point of view. 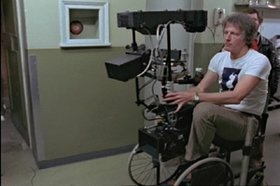 To film little Danny riding his Big Wheel through the halls, Brown rode on a wheelchair that Kubrick used for A Clockwork Orange. The initial reviews for The Shining weren’t kind, despite its technical and narrative achievements. But much like the reviews turned around for Hitchcock’s Psycho and Vertigo, opinion soon changed with The Shining as well. It’s certainly not a perfect film, and it’s often uneven, but much of it still delivers, especially Brown’s harrowing Steadicam work. As the L.A. Times wrote twenty-five years after The Shining’s initial release, “Visually, it’s a knockout. Every frame, every tracking shot is a masterpiece of cold, paranoid composition.” And what wonderful serendipity that Kubrick chose a horror film to go wild with his new toy. It’s remarkable to think a tool created to smooth the bumps out of camera moves could help create so much fear, but we’re glad it worked out so well.